Open House Events This Weekend! Come Join Use This Weekend! If you have your sights set on a brand spanking new Costa Mesa house, the romance of a home that’s witnessed the comings and goings of previous generations probably doesn’t call out to you. At least not nearly as powerfully as a front door lock that’s yet to be turned, a kitchen with nary a ding nor scratch—or a roof covered by a decades-long warranty with your name at the top. On the other hand, if you are drawn to older houses, to you, the best ones have character that can’t be matched. They have substance in a way that only time can convey. To some extent, they’re all historic! 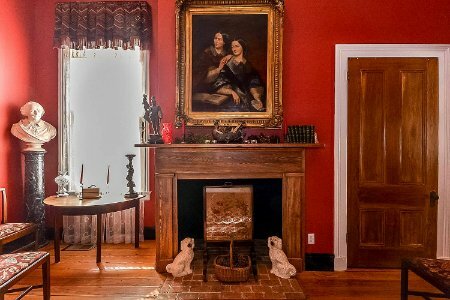 •	If a previous owner is a significant historical personage—or the home was known to have hosted such persons—it qualifies. •	If it can be linked to a significant event in history, likewise. •	If its construction techniques or characteristics are unique enough to be of historical architectural value, it qualifies. •	If it is old enough to exemplify truly historical qualities (a common example is a house “built with wooden nails”). I think square nails should qualify. Being officially designated is another matter—and not always a welcome one. Once Costa Mesa buildings are declared to be historic, they are likely to fall into a special category when it comes to changing anything about them—which can create hurdles that run-of-the-mill homeowners don’t always want to worry about. Designated historic Costa Mesa homes are few and far in between in the Costa Mesa listings, but whether you’re on the lookout for a well-cared-for older house or one ready to greet its first owners, we’re standing by to help you discover it!